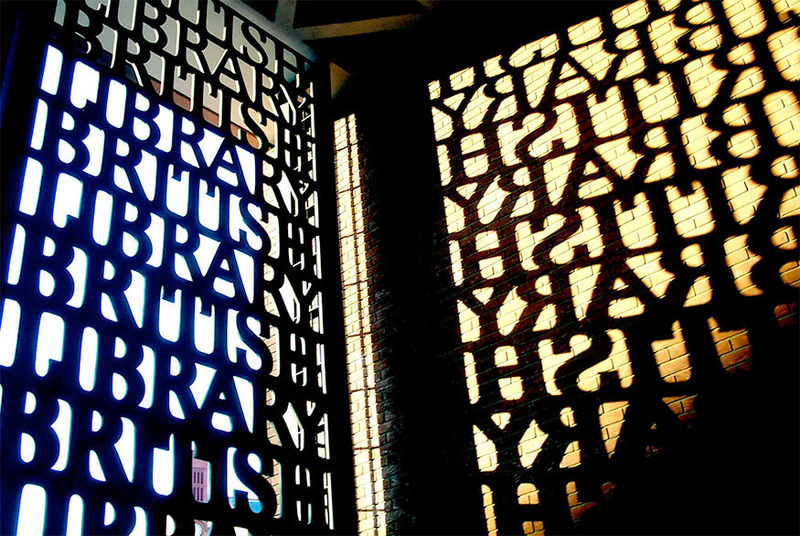 The British Library is the national copyright library of the UK and the largest collection of books, periodicals, journals and sound recordings in the world. It was established as part of the British Museum in 1753 and moved to its current home on Euston Road in 1997. The imposing brick building just beside St Pancras station houses 170m items and counting; as the library receives copies of all books, newspapers, magazines and manuscripts published in the UK the collection is expanding at a rate of around 3m items per year. If you thought the library was open only to academic scholars or professional researchers, think again. 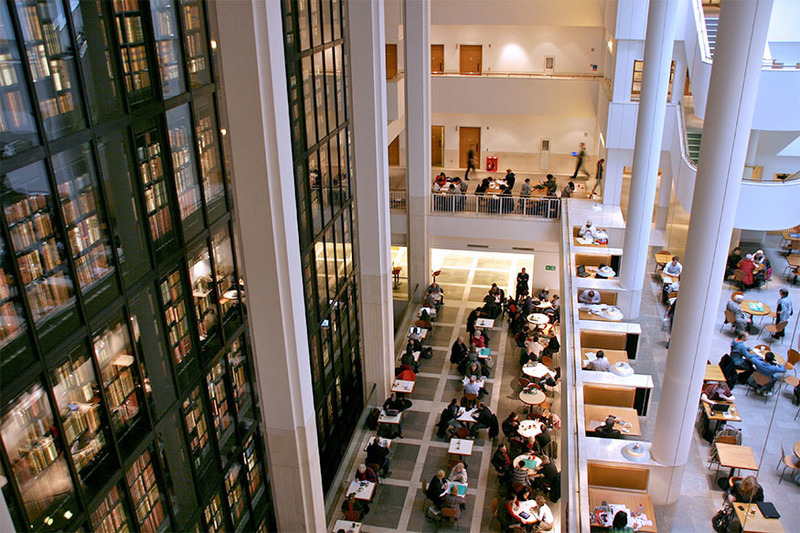 In recent years the BL (as it’s affectionately known) has relaxed its registration requirements, and there are now many ways the non-academic public can access and use the library’s resources. To use one of the BL’s 11 reading rooms, you’ll first need to register for a Reader Pass. This is a fairly pain-free process and can be begun online: simply provide your name and address, and indicate the research area you’re interested in using the library’s materials for. You’ll then need to visit the BL in person with proof of address and signature, and a list of materials you’d like to use. Once you’ve picked up your Reader Pass you’ll be able to order books via the electronic catalogues in the reading rooms. Note that some of the rooms — in particular, Humanities 1 and 2 — get very popular, but it’s possible to order your books to another room (such as Maps, which rarely gets busy and has lovely big tables for spreading maps and other large documents onto). Some collections — for example, Asian and African Studies — must be read in their own reading room, but in general it’s possible to order materials to the room of your choice. Note that some reading rooms close earlier than others, so bear this in mind when planning your visit. After your first visit, you’ll also be able to order items in advance using the online catalogue, which is recommended as books can take up to an hour to arrive if ordered on the day. You'll also be able to track your book orders online, which is helpful if you're popping in at lunchtime or after work and only have limited time to spend at the library. If you don’t have a personal or academic research hat on, there are still lots of ways to enjoy the BL. The library hosts workshops, discussions, exhibitions and special events throughout the year, many of which are free of charge. On permanent exhibition in the John Ritblat Gallery on the ground floor are some of the BL’s most rare and beautiful items, including one of four surviving copies of the Magna Carta of 1215, a manuscript of Handel’s Messiah in the composer’s own hand, the original handwritten copy of Alice’s Adventures in Wonderland and notes written by Leonardo da Vinci. Finally, there’s no registration requirement to pop into the library’s eateries — there’s a café and restaurant inside the main building, which make good places to meet literary friends; or on a sunny spring day The Last Word coffee shop on the piazza outside the main entrance is a very nice spot to stop for a coffee and a toasted sandwich on your lunch break. Want to know more? Visit the British Library online at www.bl.uk, or in person at 96 Euston Road, NW1 2DB.